When academic Wallechinsky found that 42% of respondents had a fear of public speaking versus 19% that feared death, it only made us worry about public speaking even more. And now, almost 40 years since this research was first published (and with numerous other studies in the interim) it would appear that we are still as reluctant to take the communication limelight as ever. In fact, there’s even a clinical name for it; glossophobia, and another, PSA or Public Speaking Anxiety. Fear of public speaking is characterised by a fear, worry, apprehension or anxiety around talking in front of others, and as public speaking is required of most of us at one point or another, there’s usually no getting away from it. 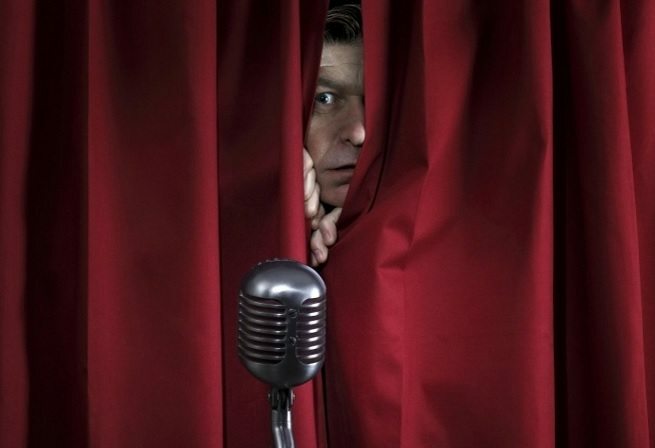 Thankfully, there are ways to beat those public speaking demons for good. Is it trait or state apprehension? Some of us will shy away from communication generally, everything from day to day conversations with colleagues to offering an opinion in meetings and this is known as trait communication apprehension. However, most of us will perform well in these type of situations and will only begin to feel nervous for larger public speaking requirements, and this is known as state communication apprehension. There are many reasons why a usually confident individual would be reluctant to speak in public, from the investment in the topic, scale, and importantly, their perception of their skill as a public speaker. Even experienced public speakers can become nervous before a big speech, and this worry can manifest physiologically, emotionally and cognitively. For many, glossophobia can translate to physiological symptoms as cortisol floods the system. Increased heart rate, sweating or shaking, even palpitations may occur as the event draws nearer. But whilst these manifestations of nerves might be exceedingly obvious to the one it’s happening to, effective use of body language means that they don’t have to be as blindingly obvious to everyone else. Utilise posture and deportment to present the confident image you wish to convey, and when it comes to actually delivering the presentation, consider tone, speed and eye contact to ensure nerves aren’t seeping into your dialogue. However, with anxiety highest just prior to public speaking, once glossophobics actually start to talk they usually find that symptoms gradually dissipate. Another stumbling block to clear is that of cognitive negativity; I’m not equipped for this, I’m not good at public speaking, it’s going to be a disaster. This type of thinking is counter-productive as worry inhibits memory, the more you worry the less you will remember of what you want to say. Focus to your presentation is necessary to build engagement with your audience, so do all that you can to combat these negative thoughts with rational actions. If you’re inexperienced with public speaking, start small to increase your confidence in your abilities as a public speaker, and when those ugly doubts rear their head you will be ready to bat them away. Remember, in most cases it’s the anticipation of public speaking rather than the actual event that is the issue. Prepare well to manage emotions, combat that negative baggage and pick up some new skills that will help you to control physical nerves, and your public speaking demons will be firmly banished for good!